January 2017: Peak on Mount Seymour officially named after former NSR leader Tim Jones. The peak named after Jones was previously known as Second Pump Peak. 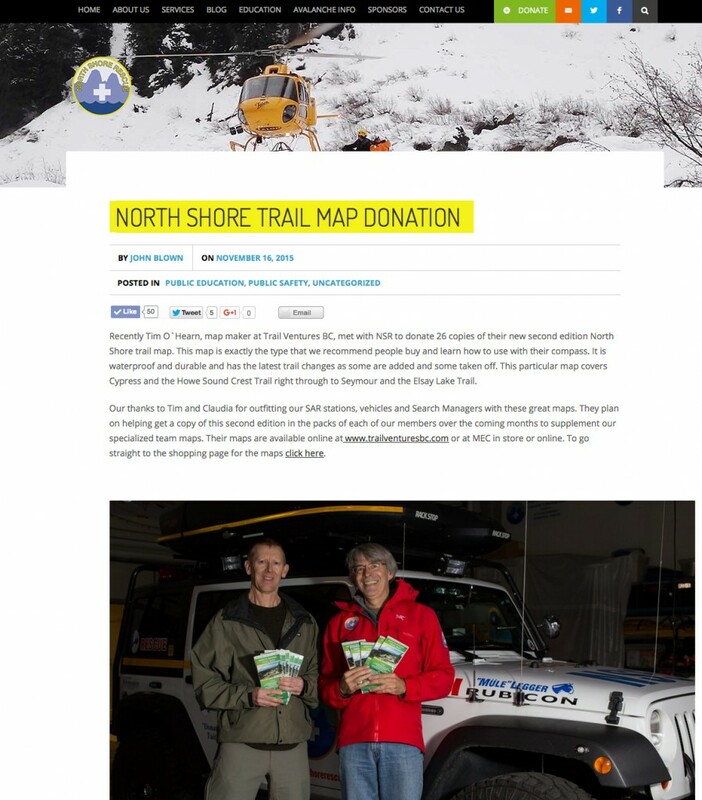 Tim Jones Peak is shown on the second edition of Trail Ventures BC’s North Shore Trail Map. June 2015: The gate at the trailhead for the Howe Sound Crest Trail (HSCT) is officially closed indefinitely. However, it has been noted that the gate is sometimes open. 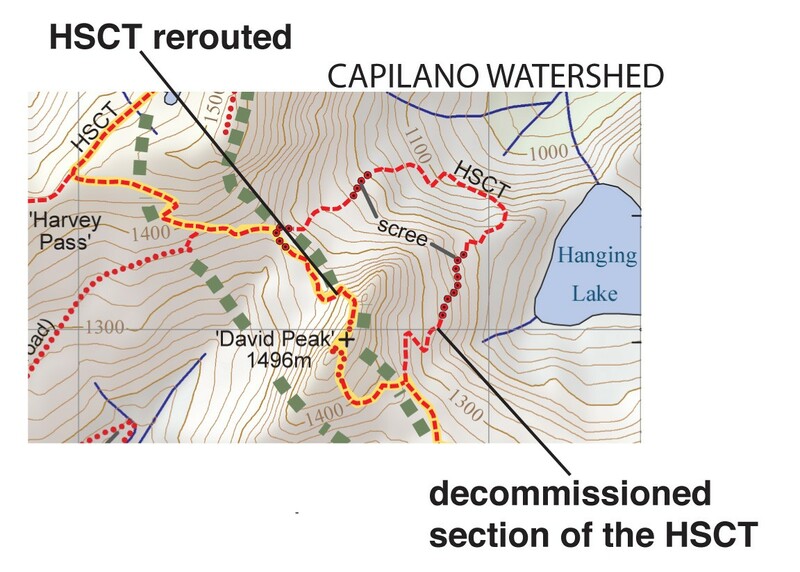 This section of the HSCT is a 4WD road. The condition of this road has degraded over the past couple of years and is now somewhat brushed-in over the majority of its lengths. The old Deeks Creek Trail is officially closed. 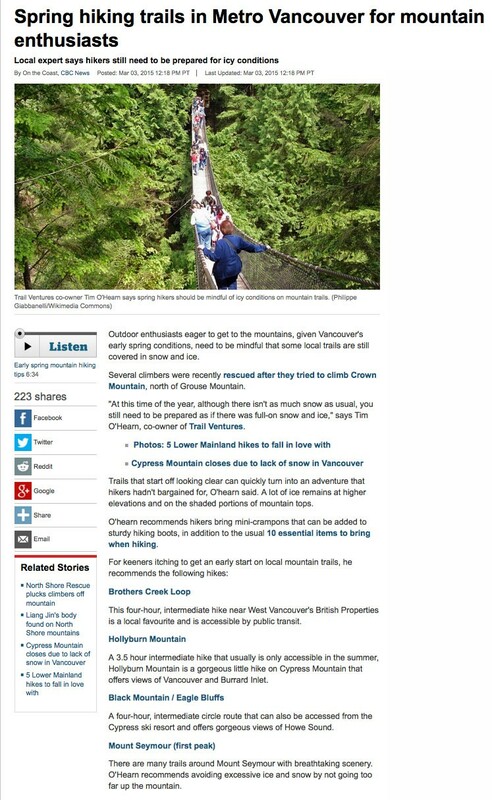 Howe Sound Crest Trail: BC Parks spent $45,000 in trail work funding for the 2013 season. 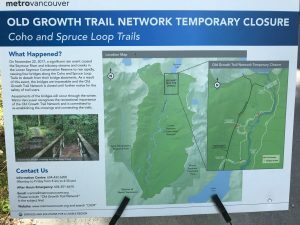 $50,000 will be made available in the 2014 season to continue the Howe Sound Crest Upgrade work with current focus on rebuilding the switchbacks leading to St. Marks Summit with a durable trail bed and proper drainage. Work is also planned to clear blow downs at the Deeks Lake end of the trail. August 2014: HSCT (aka Deeks Lake Trail): At the Porteau Road trailhead (parking lot), the gate which was previously open is now closed. There are “No Trespassing” signs posted. This may be due to the housing development near Deeks Creek. 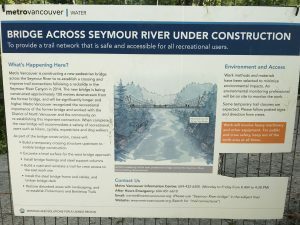 December 2014: Seymour River trail closures due to the rock slide: Bottletop, Twin Bridge, Riverside – Twin Bridge on Fisherman’s Trail are closed indefinitely. Closures are also currently in place at Hyannis Point and Incline that will likely be scaled back as we get through the rest of the next couple bouts of weather. There will be some semi-permanent or permanent changes to the trail network as a result of this slide event.